When graphene burst onto the scene several years ago, scientists and tech enthusiasts both hailed it as the breakthrough in material engineering that would drive the next generation of semiconductor technology. The truth has been more complicated for all graphene’s promise, it’s proven more difficult to engineer than many expected. 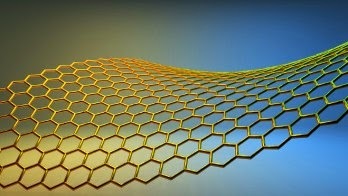 Now, a team of researchers is claiming to have solved some of graphene’s difficult manufacturing problems and believes they can commercialize the approach. To date, mass manufacturing and defect control have been major issues for all graphene manufacturing, to the point that it’s hampered research simply because getting enough high-quality, defect-free graphene for experimentation is both time consuming and expensive. What this new effort has discovered is a method for creating graphene (the paper actually refers to a “a carbon nanosheet with properties similar to graphene”). The researchers worked with a material they call PIM-1 a polymer of “intrinsic microporosity. The material was then prepared via spin-coating and heat treatment on a quartz substrate before being used as electrodes within solar cells. The paper claims that this method of producing carbon nanosheets resulted in solar cells that were 1.922% efficient under 100mW illuminations. That efficiency rating might seem extremely low, but it’s actually in line with organic solar cell capabilities. Organic cells tend to be some of the cheapest solar cells, but the inevitable tradeoff is that they also are extremely inefficient peak single-junction solar cells can reach 22% efficiency and are already available commercially. It’s not clear if the team’s carbon nanosheet technology is expected to further improve (boosting organic cell efficiency in the process), or if it’s projected to hit the 99.999999% purity required for semiconductor manufacturing. Other techniques, like spraying the graphene directly on a substrate, are still being evaluated for commercial applications. Researchers in Ireland are also exploring a method for reliably producing graphene through the application of Scotch Tape. The potential for reproducing and adopting these graphene-like carbon nanosheets for other markets is what makes this story interesting. The team didn’t say what percent of the graphene was defect-free, but they do claim that this new manufacturing method is far simpler and less prone to failure than previous types of graphene production. If this technique can be adapted to semiconductors or other types of solar cells, it could be far more useful than any marginal gain in organic solar cell efficiency. According to Dr. Han Ik Joh at the Korean Institute for Science and Technology, graphene can be produced in a similar manner to carbon fiber and while that’s hardly cheap, it’s still better than our current methods.